The moringa tree, of which many Americans may never have heard, has the potential to ease the plight of the world\’s poor. 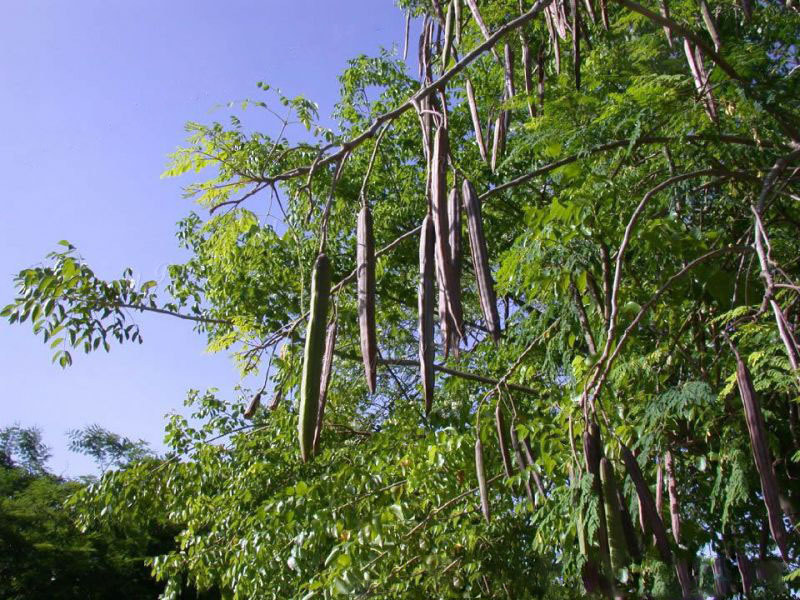 An edible plant that can feed hungry populations in developing countries, moringa grows rapidly. It can reach 16 feet tall its first year, and provides shade and shelter in poor villages. Moringa is a native tree of India and parts of Africa. It has become popular recently due to reports of its medicinal and nutritive properties. The tree grows quickly in warm arid climates and produces lovely white orchid-like flowers that become long pods. The pods give the plant the name Drumstick Tree, and are the source of the seeds. Moringa requires well-drained to sandy soil and continuous sunlight. The plant can tolerate temperatures down to zero degrees Fahrenheit for short periods but thrives in high heat. It has a long taproot, which means it is tolerant of drought. Moringa seeds are ready to plant right off the tree and germinate readily. Medicinal The roots, leaves and flowers of the moringa have a long history of use as herbal remedies. The juice of the roots is used in folk medicine to treat skin irritations. In Nicaragua, a root decoction is a treatment for edema. Practitioners make poultices from the leaves to treat sores. They also use the bark, leaves and roots as digestive aids. In alternative medicine, the bark is thought to aid sufferers of diarrhea. Other Uses In addition to its other uses, the moringa tree has found a place in the treatment of water. The moringa\’s seeds contain a protein that can filter out silt. This gives it the potential to replace alum, now used for that purpose, which is much more expensive. This property of the moringa might one day have a profound impact in poorer regions, such as Africa, where contaminated water remains a significant problem. Instructions: 1 Split the moringa pod with a fingernail and scoop the seeds into the bowl of water. Let them soak for at least 24 hours. This will help hasten germination. Drain the seeds the next day and separate out the pulp. 2 Make a mixture of 3 parts potting soil to 1 part sand, and fill the seed flat. Push the seeds in 1/4 inch, and lightly dust over with the soil mixture. Water the flat, and put it in a warm, at least 70-degree Fahrenheit, location. 3 Keep the soil damp but not soaking wet. It should feel moist when you insert a finger. Germination is usually in five to 12 days, but with the soaking pretreatment, it can be sooner. 4 Continue watering, and move the flat to a sunny location when the seeds have sprouted. Give them heat, light and water for approximately three weeks or until the seedlings have their first two pairs of true leaves. 5 Transplant to pots or directly plant into a garden bed if your climate is warm and sunny year-round. Add 2 inches of compost and 1 inch of sand to the garden bed, and plant the seedlings until the roots are covered. In pots, make the same soil mix that you made for germination, and plant the seedlings 2 inches into the soil. 6 Prune the moringa tree in the year after it flowers and sets fruit. You can allow the plant to grow to a tree or keep it trimmed to a bush height. Annual application of 2 inches of manure around the base of the tree will add plenty of food to the soil.